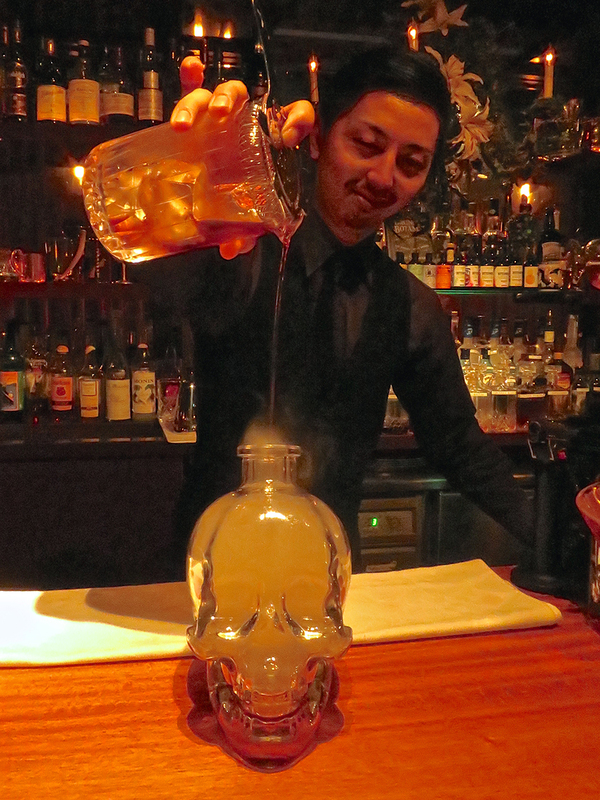 Home » Bars » Because Who WOULDN’T Want A Cocktail Served In A Smoke-Filled Skull? 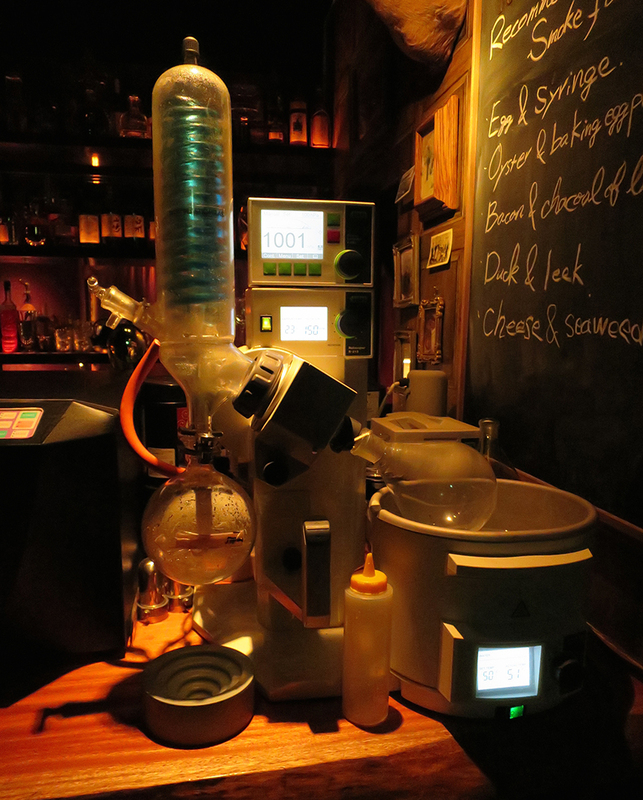 Because Who WOULDN’T Want A Cocktail Served In A Smoke-Filled Skull? 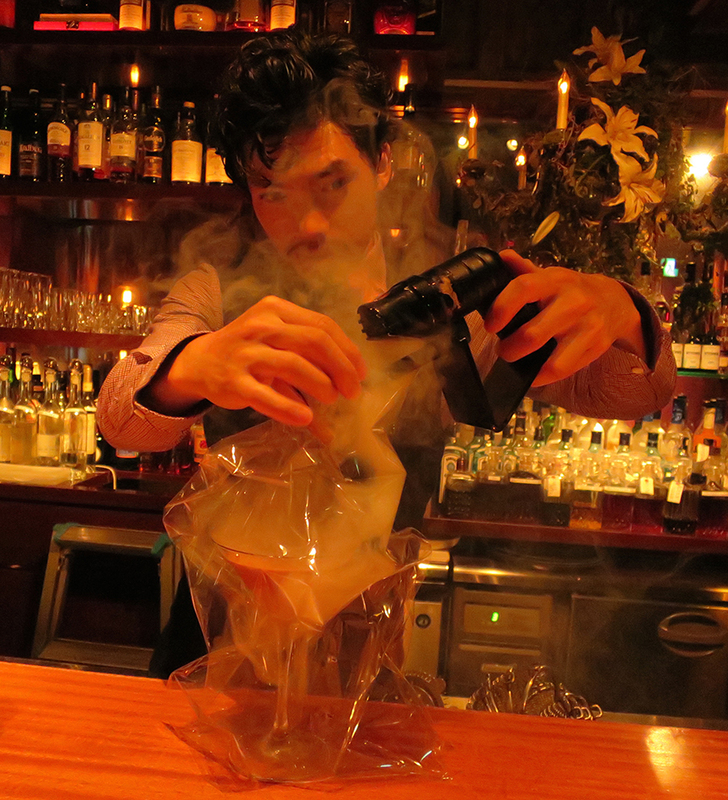 And that’s just the tip o’ the liquid nitrogen, flash-frozen iceberg at the Codename:Mixology bar! Because although no snozzberries were detected on the menu, this place definitely is to what-did-I-just drinks as Willy Wonka is to chocolate factories. 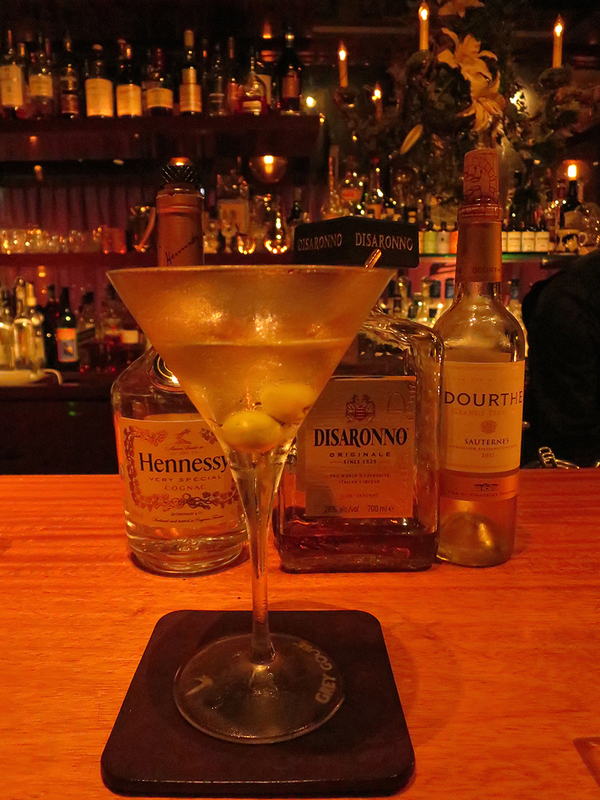 Blue Cheese Vodka Martini? Check. Happy-making libation that tastes like Thai Tom Yum soup, only better? Already standing in line for seconds. Industrial centrifuge + fresh tomatoes + basil-infused gin = that’s the kind of salad I’m talkin’ about. And this is the magical Rotovapor! 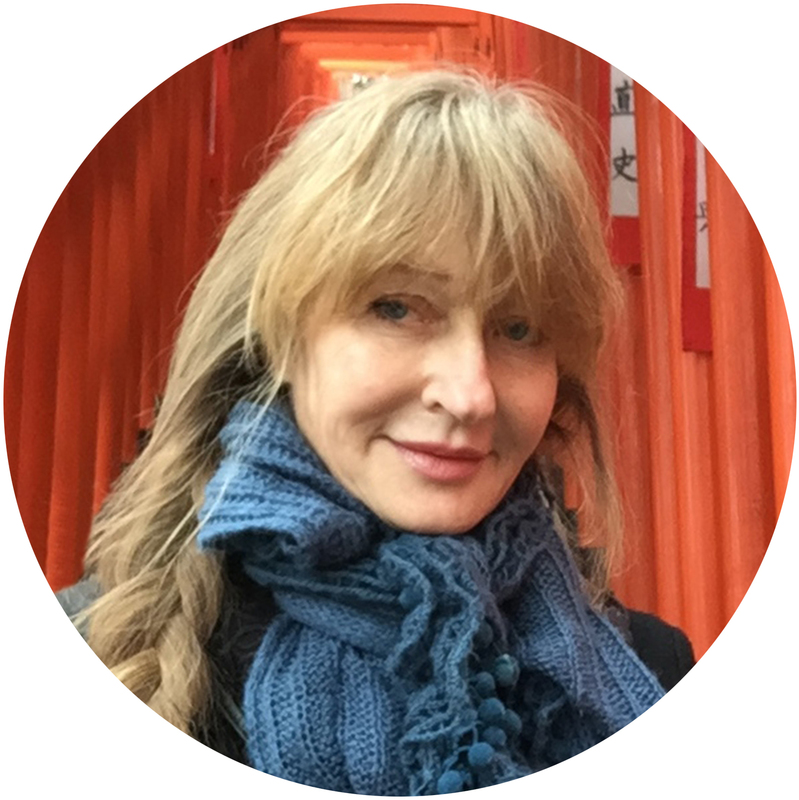 It distills flavors from all kinds of unlikely sources to make spirits that taste like everything from foie gras to bamboo leaf. 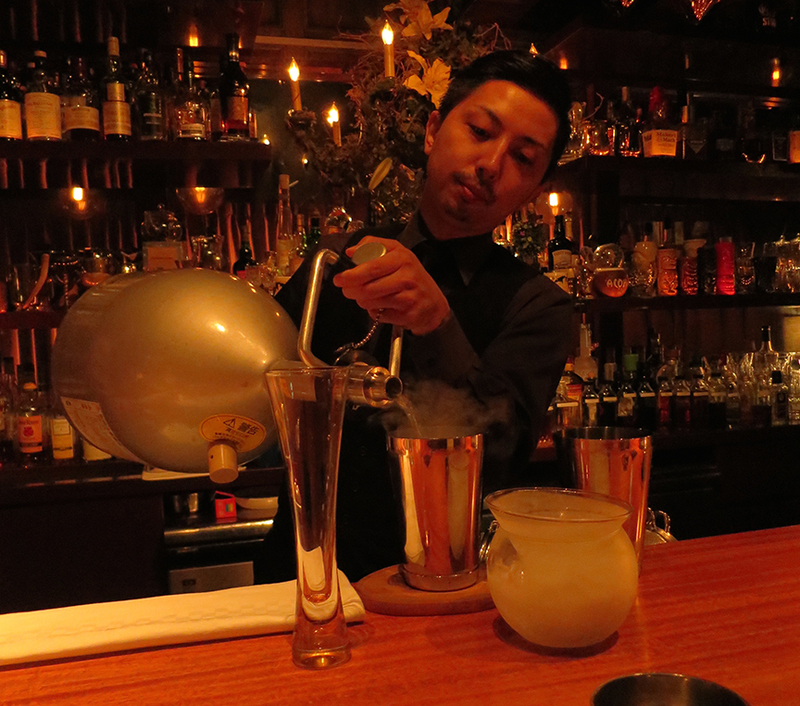 A little liquid nitrogen is all in a day’s work for the Mixologist X Mad Scientists who craft cocktails that occasionally take the form of adults-only sorbet. 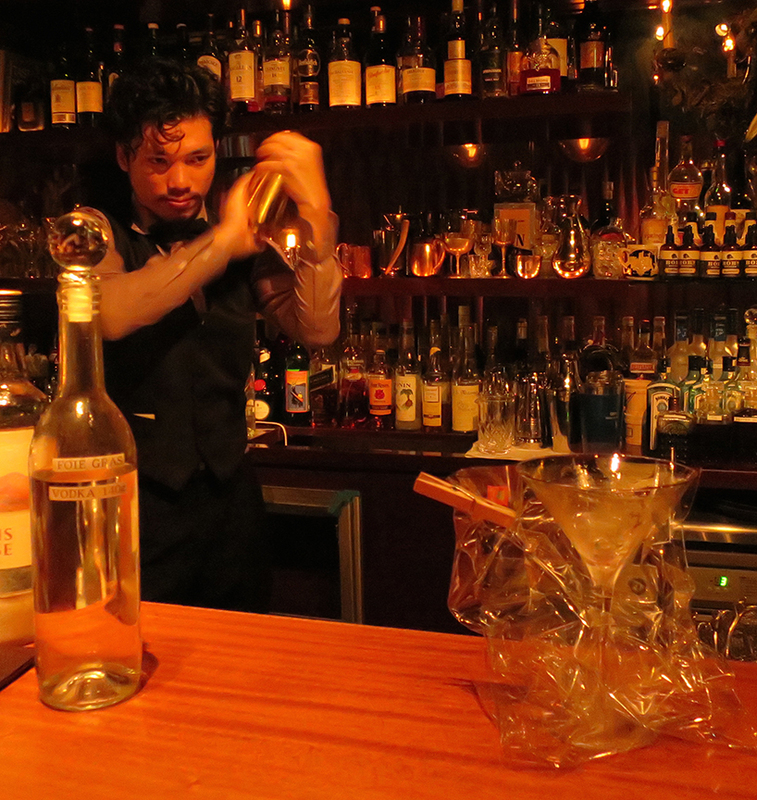 …and watching the bartender make your drink is nearly as much fun as drinking it. 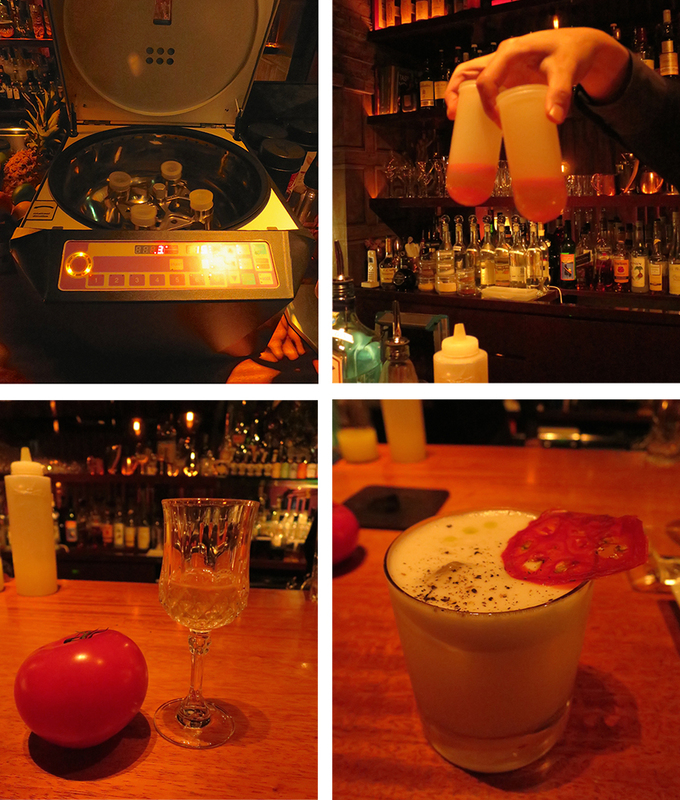 Sorry for the post-Blue Cheese-Martini photos, but here are a few of the temptations on offer, so you can see just how ain’t-never-had-that-before these cocktails can be. 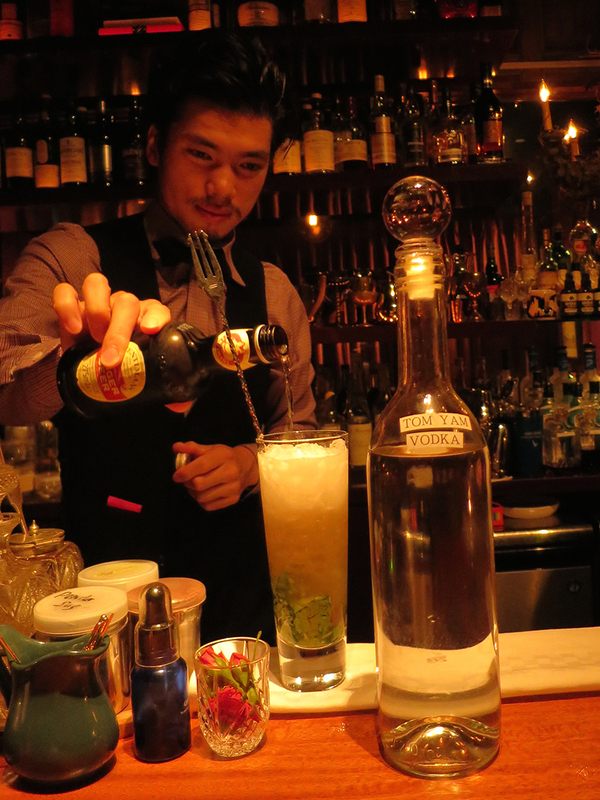 If you’d like to go to Codename:Mixology the next time you’re in Tokyo, maps to the Akasaka branch and the Yaesu mother ship are on my travel website, The Tokyo Guide I Wish I’d Had. I’m…uh…speechless. The salad sounds good, though. Much less chewing work. say no more: smoke-filled skull? 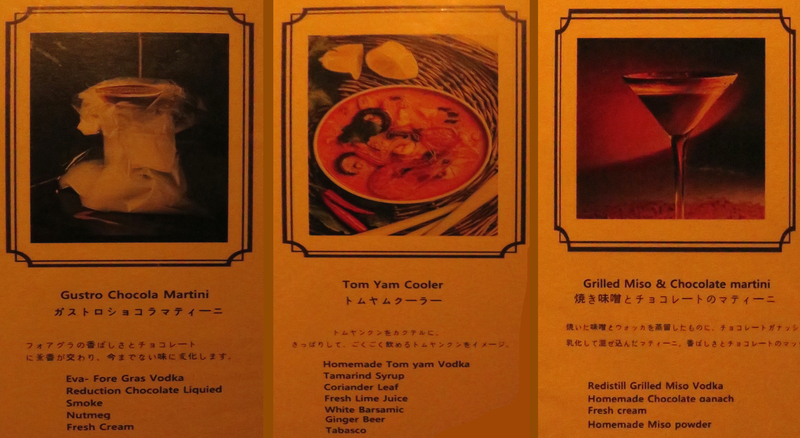 I’m here, I’d love to try the bamboo leaf … maybe the grilled miso and chocolate martini too. Yes but this year I’m staying at my friend in Tokyo and she’s not really into bars. She works a lot so I think at night we’ll have a cozy evening at home. During the day I’m with a group and it’s their first time in Japan, they want to see the main sights and IF POSSIBLE they want to DINE at places IN THE GUIDE!!! so places a bit different will have to be negociated or I’ll just take time for myself and do the crazy stuff. OMG, one of each please… starting with the chocolate martini………..
You’ve got to try them! Although you know what’s strange? They were all delicious, but the ones that we ordered just to say we did (because they were made from really strange ingredients) were by far the best. I didn’t expect to love the tom yum soup one, but it was fantastic. And there was another one that was made from grated apple and foie gras vodka with black pepper on top that was my absolute favorite.